Not to lose momentum, we have even more New Dog Collars on our Greyt Inspirations website. As a little teaser, here are a pictures of a few of the new dog collars. 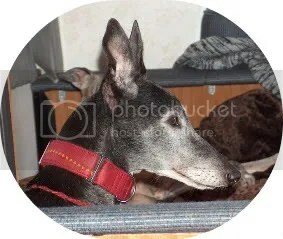 I am excited to introduce the brand new line of Greyt Inspirations martingale collars. “DaLuxe” martingale collars are perfect for your high-fashion pampered pooch! Layered and glamorous, everyone will be asking where you purchased such a trendy new accessory! The “DaLuxe” line has five designs: Red Lace, BW Lace, Camo Lace, Black Animal, Brown Animal, Black X, Turquoise and White Christmas. Available in Med-XL with 1 1/2″ or 2″ widths. Spoil your pet today with a must-have fall accessory! Click here to view the entire “DaLuxe” line! 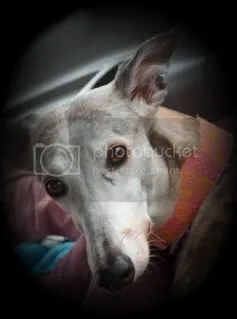 I would like to introduce Julie, a new Greyt Inspirations author for our blog. She joined us last week and has already been giving us some good information. Welcome Julie! With all the upcoming holidays, we have posted our Holiday Deadline information so that you won’t miss out on any opportunities to get some wonderful gifts or holiday themed collars or leashes for those holidays. Speaking of which, we have a fabulous new Hallowe’en collar just added to our Special Occasion line. This one is called “Bats”. And now for some Doggy Tails. Shadow, well..Shadow is Shadow. Our big, loveable, laid-back guy. He has found Rowdy to be competition and comes to us for much more attention these days…no complaints, it is wonderful! Onyx, our goof, is still here. He has Osteo and his back leg is giving him more and more problems. He is on pain meds and is doing okay. He is still happy, still eating and still being Onyx (although not so “goofy” these days and I really miss that…). As long as our lovable, sweetie is still happy to be here, we will continue to give him extra-special lovies and attention. We don’t know how long he will be with us but everyday is a blessing. Every one of our dogs is a joy to have in our lives! I’ll start with the additions to my Jungle Theme collection. To see much more new, please visit our New page. 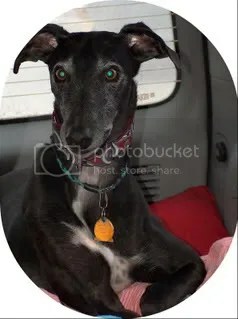 Greyt Inspirations recently introduced a new line of dog collars. Free shipping for the first 5 customers to buy one or more of these collars. To take advantage of this Introduction Offer, enter FREESHIPPING (make sure to use all caps) in the coupon field upon checkout. Note: If the shipping cost is greater than $5.99, I will refund you the difference. I’ve been busy fighting off a nasty bacterial virus that was triggered by the antibiotics that my dentist gave me for my tooth infection. I think I am finally on the mend and none too soon as we are leaving for our vacation tomorrow morning (we would have liked to leave today but our son, who is coming home to take care of our poodle and our house while we are away, wasn’t able to get here until tonight). I am so looking forward to this vacation! Greyt Inspirations is happy to introduce a new line of dog collars. 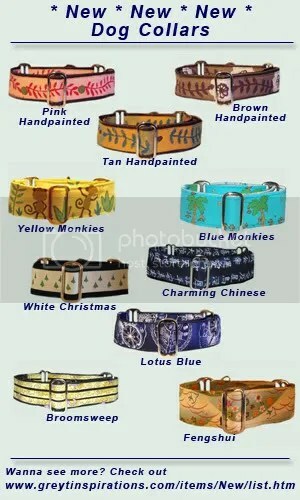 Leather Buckle Dog Collars. They are available in solid collars, suede, airbrushed and textured. Fabulous! To see all the new designs visit New. I really like Dreamweaver (I use it at work) and decided to buy it for home too. I attempted the purchase on Tuesday but had problems, talked to Customer Service who was no help whatsoever. I abandoned the order. I tried again yesterday and got a little further. I was waiting for the email confirming my order but went to bed before it came in. I checked this morning and found an email from them stating that they were unable to process my order,, but the email didn’t say why…??? I need to call to place the order. a beautiful day but I sure got alot burnt. We were at a greyhound event on Saturday and we brought our tent with us because we weren’t sure if it was going to rain or not. When we went to put the tent up, we were missing the top part so – no tent. Because I thought we’d be under a tent, I didn’t bring any sunscreen – Mistake! My shoulders, arms, neck and nose are all beet red and sore. Other than getting burnt to a crisp, it was a lovely day. We had alot of fun, met alot of nice, new people, met up with alot of our friends that we don’t see all that often and went to our friends place for supper afterward. It was a nice, relaxing but long day. Next time, we’ll double check to make sure we have everything we need…. On another note, I have recently added new items to my website. Some clothing, some collars with more to come. 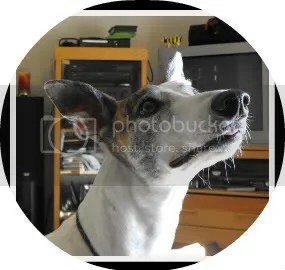 On the weekend, I added a few new items to Greyt Inspirations and to The GlassHound. You can see a small glimpse below however all the new items are on their respective websites. to see more of the new martingale dog collar designs, please visit our New products page.